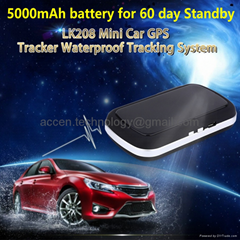 As Gold supplier (10th-Year) and verified manufacturer by professional Third-Party cencorship annually, Accen Technology Co., Limited, founded in 2002, combining R&D, manufacturing and marketing together, specialised in high-quality popular consumer electronics and safety, security & protection products. "The great satisfaction of all valued customers" is our eternal persit, "Quality First, Credible management, courteous service and mutual development" is our eternal operation principle! 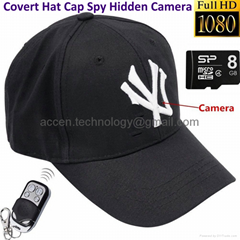 Our product range mainly includes: Mini DVR Camera, Digital Voice Recorder, Spy Hidden Camera, Spy Watch Camera, CCTV Surveillance DVR, Digital Door Peephole Viewer Camera, Doorbell Video Camera, Wireless GSM Alarm System, Personal GPS Tracker, Car/Vehicle GPS Tracking System, Cell Phone 2G 3G 4G LTE WiMax GPS WIFI Signal Jammer, Unmanned Aerial Vehicle UAV, Camera Drone/2.4G Quadcopter for Aerial Photography/Videography, Car DVR Camera, Car Driving Traffic Video Camera, Wireless Remote Audio Transmitter & Receiver, Spy GSM Audio Bug, GSM Audio Listening device, Remote Audio Pickup and so on. We'll keep updating and loading more products according to our latest R&D achievements constantly. Last year alone, buyers worldwidely sourced more than $15 million USD worth of our products, many of the famous brands have kept repeating OEM orders from us because our R&D capability and QC process meet their high standards greatly. We operate our factory in mainland China to ensure cost-effective production and large capacity. Our monthly production capacity is 150,000 units. To ensure that each product you receice embodies your quality requirements, our QC staff check everything from incoming materials to logo imprinting carefully. All of our testing equipments are sourced from the US, England, Japan and Taiwan to ensure high standard. Our considerate service has attracted orders from 30 new customers in the past year. We have 15 years of experience working with all types of customers, including distributors, wholesalers, retailers and OEM buyers. And our clients base spans countries all over North America, Europe, Austrlia, Asia and Africa. So we're ready and able to handle the different needs of different customers; and we're quick to adapt to any new situations. You can benefit from us, too. Discuss your sourcing needs with our sales team and find out more about what we can and will offer, then you'll see why leading consumer electronic brands choose us as their long-term supplier.